It would not be fair to describe it as ‘from the sublime to the ridiculous’ but, after the euphoria of the FA Cup 2nd Round win at Swindon, it was the sharply contrasting return to Woking’s ‘bread and butter’ business and their entry in this season’s Surrey Senior Cup, with a game away to Croydon FC. 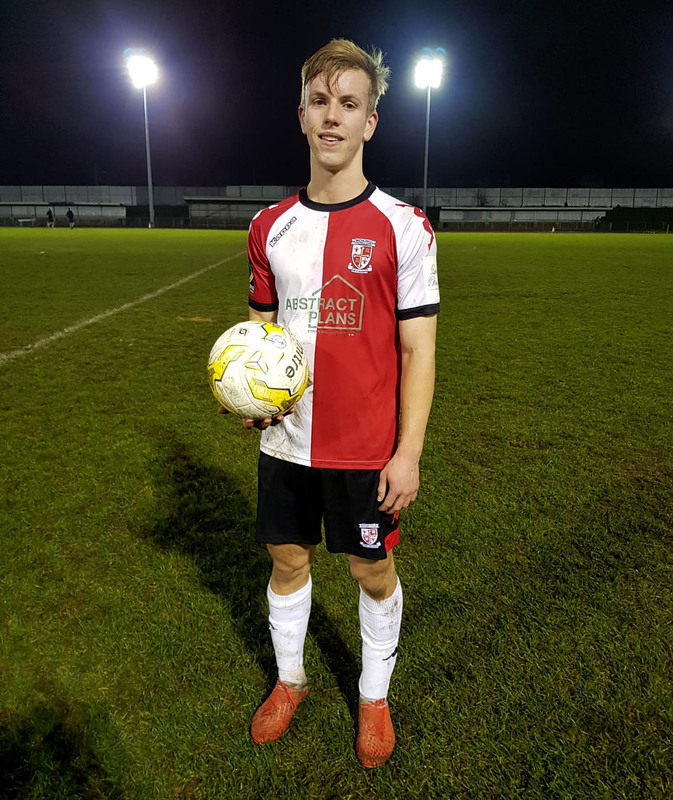 And, after a distinctly underwhelming first half, the Cards’ ultimate triumph– expected against a team from four levels lower in the Pyramid – was in no small part due to an impressive performance and hat-trick from Academy player Jack Skinner. The venue was the Croydon Arena, tucked away somewhere in darkest South Norwood and doubling as an athletics stadium; decent enough (though the lack of a bar has been noted elsewhere), and probably better than some facilities in the National League South. With, thankfully, a break in the rain and slightly milder conditions than the previous 48 hours or so, Woking’s starting line-up included 8 changes from that against Swindon but was still strong enough to imply respect for the competition and the opposition. Apart from ‘fringe’ players in the senior squad, the only two minor ‘surprises’ were Skinner and a return from loan for Declan Appau, in midfield. Berti Shotterl was in goal; the versatile Christian Jolley – captain on the night - slotted in at left back, with Dan Spence on the right, and Jack Cook and Ian Gayle completing the back four. Charlie Hester-Cook completed the midfield trio, with Nicky Wheeler (left) and Paul Hodges (right) supporting Greg Luer as the lone striker. From the kick-off, early pressure came principally from Woking. In the 15th minute, Wheeler (pictured above) took advantage of the Croydon keeper dropping the ball in his area and curled a beautiful shot from the left towards the far corner where a well-positioned defender headed it away to safety. Another shot and a header, both from Wheeler, were well saved. Following a delay when Croydon’s No. 10 received attention from the physio, the player limped off and was replaced by their No. 15. On 37th minutes, Appau made a jinking run into the area and fired in a shot which was parried out; the ball fell at Wheeler’s feet, but he blasted it straight into a defender for a Woking corner. Shortly afterwards, the keeper’s feet prevented a Luer strike from hitting the target. After the Cards had toiled for almost the whole of the first half without reward, Skinner picked up the ball to the right of midfield in the 43rd and fired in his shot from just outside of the area, leaving the Trams’ keeper struggling. The ball nestled into the back of the Croydon net at last, giving Woking a narrow lead at half time. There were no changes to the personnel on the pitch at half time, with Croydon in particular probably thinking that there was no need to shake things up. As early as the 48th minute, following a move down Woking’s left, Hodges found the ball at his feet and tapped into the goal at close range to make it 2-0 to the Cards. A string of Woking corners ensued over the next 5 minutes with no further end product. Luer’s shot in the 55th minute was well saved; from the resulting corner, the ball bounced around in the box but went harmlessly out. Just before the hour, the Cards made two substitutions, with Nathan Collier and Toby Edser replacing Jack Cook and Charlie Hester-Cook. A shot from Hodges led to a spot of ‘pinball’ in the box ending n a fruitless corner. Croydon then broke free for what was probably their best move of the game, but their striker hit the ball into the side netting when slotting past Schotterl into the goal seemed the easier option. Skinner found himself in the Croydon box, just to the right. His goal bound shot was deflected by a Croydon defender past their hapless keeper to make it 3-0. A sense of frustration appeared to creep into the Trams’ game, with a string of strong fouls on Woking players. On 68’, a lovely move started with an Edser run towards goal, a 1-2 with Hodges and a snapshot which was deflected by the keeper past his left post. After a saved Croydon shot, another Woking move on the left involving Wheeler resulted in the ball at Skinner’s feet and a simple tap-in for his well-deserved hat trick. On 78 minutes, Hodges managed to break free and found himself on his own in the Croydon area. After reviewing his options , he turned and lifted the ball over the advancing keeper for an excellent 5th goal for Woking. There was one more good move from the Trams but the final shot sailed over Woking’s bar. In the final piece of significant action, Luer worked his way into the area and drove a fierce shot at goal which was parried away superbly by the keeper. So, at the time of writing, Woking continue to progress on all fronts. After a far from convincing first half, higher levels of fitness and professionalism ultimately and inevitably led to the kind of score line that would be expected. Credit should go to Croydon for raising their game on the night and competing effectively in the first half in particular; while occasionally accident prone, their beleaguered keeper made a number of fine saves that almost kept the score at a respectable level. It’s back to League business for the Cards on Saturday, with what could be a trickier away fixture than Weston’s current position in the table would imply; no doubt, Dowse will again be looking to make a lot of changes to the starting XI. Man of the Match: A brace of goals from Paul Hodges, in a typically lively performance, put him in te running, but it has to be Jack Skinner. He’d already shown promise in a recent friendly at Farnborough. Always combative and effective in midfield, and increasingly on the right flank in the second half, it was nigh on impossible for him to have had a more convincing and successful competitive debut for Woking.